Jump out of the cold and into a warm winter art wonderland filled with fabulous mixed media and art journaling techniques! You'll enjoy FOUR fabulous classes that explore the sea, mermaids and goddesses on 3-D and 2-D surfaces. Dig into paint, fabric, mark making, lettering and more! The retreat includes all of the specialized materials you'll need for the classes and cool swag to take home! Breakfasts and dinners plus all day snacks and caffeine! We will enjoy harbor views from our classroom and every guest room has a harbor view. Arrival is after 3 on Friday - choose you table spot for the entire weekend! Meals begin with dinner that evening and we will have classes, open classroom, meals, and free time for more creating, a swim in the pool, or a walk to the shops in Newport! But the best part??? No housework, no dishes, no stress....and no putting your art stuff away! 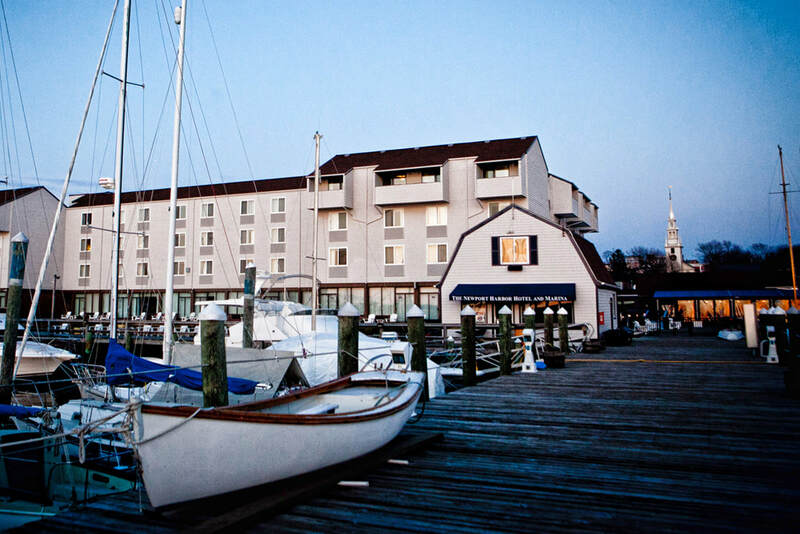 Our venue is the fabulous Newport Harbor Hotel in Newport Rhode Island. The hotel is right on the harbor with tons of parking right outside the door. Our classroom has large windows overlooking the harbor. The venue is lovely - it has an onsite restaurant, fireplace lounge, salt water pool, fitness center and hot tub. It's in the center of all of the Newport fun and shopping. All of our guest rooms have a harbor view! Newport is easy to get to, even in the winter! Click here for travel information. Explore how doll making as an art form, combined with Zentangle®, can be a ceremonial, transformative process for healing, inspiration, empowerment, and other conditions of the human experience. Create a two-dimensional mermaid figure (with moving parts!) Made from paper she is a fun and flexible substrate for your creative touch! Create a one-of-a-kind, mixed media art doll! Using a three dimensional fabric doll form you will begin to create! (all of the sewing is done for you! no sewing skills required!) Starting with a pre-sen doll form we'll use paper, pens, cloth, beads & baubles, felt, colorful fibers and more! ​Tracy Lake - Shaded Seahorses! Dive into the sea and seahorses! What fun and interesting animals. In this class Tracy will show you how to use Brushos and Colorburst powders to create fantastic backgrounds. Once your background is created you will add the seahorse and then you can tangle, embellish, and add quotes! Elaine Huffman - Making your own marks! Get creative with stencils, paint and mark making to create a beautiful substrate full of transparency and surprises! You'll take this to the next level with quotes from the sea, images, stamps, collage and lettering! Elaine will show you her lettering method that promises beautiful results - even for those who think they "can't" letter! Patricia Carney My earliest memory as an artist was when I witnessed my little hand, clutching a chubby blue crayon, scribble madly across the blank page of a coloring book, revealing a beautiful image beneath the chaotic strokes of blue. I guess I have always been drawn to strokes! Besides drawing and tangling I love to paint, sew, and dabble in all kinds of mixed media projects. This is why I love making dolls as an art form - I get to work with fiber, paint, cloth, paper, beads and so much more! I have presented a Zentangle Apprentice (ZAP) workshop on behalf of Sakura at the Massachusetts Art Educators Association conference 2013. Other teaching environments include elementary school, senior center, art association, senior living center, art store, community art center, private homes, library and university. Patricia Carney was on the Faculty of TangleU in 2015. Tracy Lake, owner/artist of Traces of Zen, LLC, practices and teaches mindfulness through various art forms. 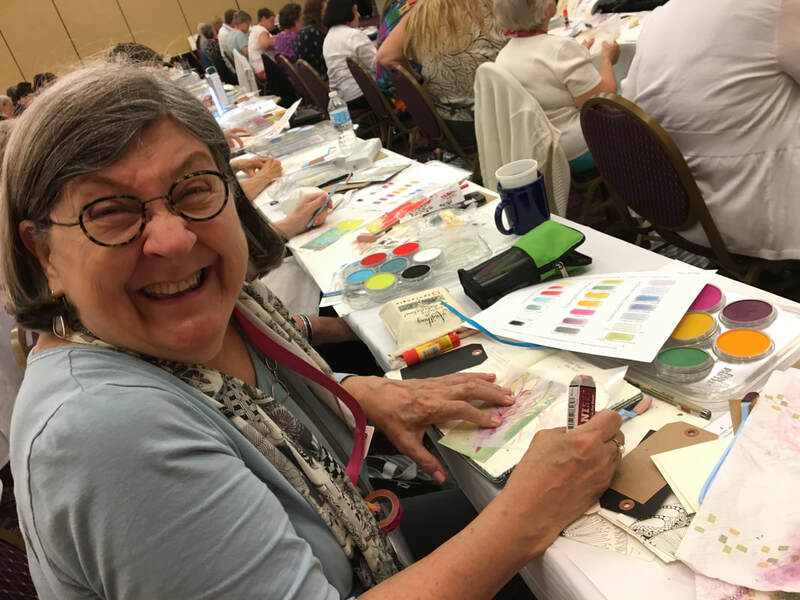 She is a Certified Zentangle® Teacher and SoulCollage® facilitator as well as a mixed media artist. Tracy has a background in higher education with experience in training and leadership development. She believes everyone has the ability to create art and the creative process has benefits including stress relief, an increase in focus, and self confidence. Tracy enjoys teaching others various art journaling techniques. Elaine Huffman .Self employed as an artist since 1997. Elaine is the founder of Tangle U - the first educational forum for Certified Zentangle Teachers. Elaine is the host for retreats, classes and art gatherings. In the studio Elaine can be found making and designing in fabric and a variety of mixed media. Elaine has authored two quilting books and many patterns. Elaine has a BFA, is a Certified Zentangle® Teacher and a Toastmasters CC.